The report shows unequivocally that Brexit would cause significant dislocation to the capital markets in Europe, with UK-based market participants and their customers most affected. The potential impact of Brexit on European capital markets’ is based on a series of in-depth interviews with 25 market participants from across the EU and from five different sectors of the capital markets (banks / investment banks, asset managers, hedge funds, private equity and venture capital, and trading and market infrastructure). The aim of the report is to identify what market participants in different sectors of the capital markets see as the main benefits of the single market to their business and to their customers, what they would like to see on the negotiating table in the event of Brexit, and what they see as the main potential risks in the event of Brexit. The report also analysed the interconnected nature of UK and EU capital markets; the potential impact of Brexit on the capital markets union project; the initial practical impact of Brexit; the future direction of UK and EU regulation under Brexit; and what sort of relationship market participants would like the UK to negotiate with the EU in future. The report does not explore the politics of the debate: that is a question for the British people and the respective campaigns advocating Remain and Leave. It does not try to boil down the benefits or consequences of either outcome to a single number, and does not focus on the impact on London as a financial centre. It aims to be accessible and as jargon-free as possible. New Financial believes that Europe needs bigger and better capital markets to help drive its recovery and growth. One of the clear messages that emerges from this report is that current efforts across the EU to encourage the development of capital markets and reduce the dependence of the European economy on bank lending could be significantly disrupted if the UK votes to leave the EU, with a knock-on effect on the economy, growth and job creation. 1. UK and European capital markets are highly interconnected with the UK the dominant party. For example, more than three quarters of all capital markets business in the EU27 is conducted out of the UK. Unpicking this interdependence could be a complex, lengthy and costly process. 2. By a wide margin respondents said that passporting was the biggest benefit to their business and to their customers of being in the single market, and that losing passporting rights was the biggest risk of Brexit. UK-based firms and their customers benefit disproportionately from passporting, accounting for three quarters of all passporting in the EU. 3. The other main benefits cited by respondents were the economies of scale of the single market that enable them to offer a wider range of services to more clients at lower cost; the broadly consistent regulatory framework across the EU that reduces cost and complexity; and the free movement of labour that opens up a wider pool of talent. 4. The UK could miss out on the potential benefits of the capital markets union project. Respondents said CMU marked an important shift in mindset by European policymakers in recognising the need for deeper capital markets in Europe – and that capital markets could be part of the solution. But they warned that in the event of Brexit it would either grind to a halt or become a more inward-looking project for the rest of the EU excluding the UK. 5. While it is often easy to criticise EU financial regulation it is unlikely that there would be any bonfire of EU regulations in the UK on the other side of Brexit. In order to retain access to the single market as a ‘ third country’, much regulation may have to be retained. Respondents feared that over time regulation in the UK and EU would diverge, increasing costs and potentially raising questions over future UK access to the single market. 6. The UK would lose influence over the future direction of the capital markets on its doorstep, which represent the biggest market for many firms based in the UK. Without a seat at the table it would not be able influence future regulation (but may have to implement it). As one respondent said: “God knows what Mifid III and CRD V would look like without the UK”. 7. 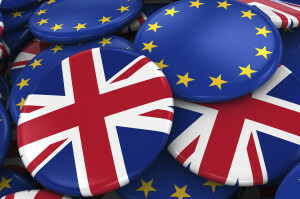 The majority of respondents made a strong case for the UK to remain in the EU and said they had identified no benefits – or only marginal ones – of Brexit to their business and clients. A very small number said Brexit could benefit capital markets in the UK. 8. Brexit would cause an initial period of significant dislocation and uncertainty in markets and across the industry, leading to lower activity and less cross-border investment. The only two certainties are that lawyers would have a field day, and the cost of disruption would be passed on to customers. Many respondents said they could over time be forced to relocate some staff from the UK. 9. In the event of Brexit, most of our respondents said they would like to see the UK negotiate an agreement with the EU similar to the Norwegian model (with access to the single market) – but they thought this would be politically untenable and that the UK would end up with a more complex arrangement closer to the Swiss model or WTO framework. 10. The UK’s membership of the EU does not hold back UK-based market participants from doing business in the rest of the world. On the contrary, many respondents said that by exapnding the scale of their home market and creating a larger trading bloc, the single market made it easier for them to do business outside of the EU. The report is based on 25 responses (mainly through in-depth structured interviews) from different market participants across Europe and different sectors of the capital markets to a detailed questionnaire in March and April. The full questionnaire, with a selection of anonymous responses, as well as the full sourcing of our data, will be available at www.newfinancial.eu. We invited 100 different organisations to take part, and deliberately sought responses from across the spectrum of the debate. Given the sensitivity of the subject, we assured all participants of complete anonymity. New Financial is a think tank and forum launched in 2014 that makes the positive case for the vital role that capital markets play in driving growth and prosperity. We believe Europe needs bigger and better capital markets – and that this presents a huge opportunity for the industry and its customers to embrace change and rethink how capital markets work. The main focus of New Financial’s work is how to make the positive case for bigger and better capital markets and how markets can be improved for the benefit of issuers and asset owners. A starting point for making the positive case for capital markets is the need for market participants to work together to restore trust in the capital markets with all stakeholders. In financial markets, pay is about more than just the numbers: pay is an important barometer of how the industry sees itself in relations to customers, shareholders and society.